GVL / Dylan McIntyre. Thursday, February 8th, 2018. Student Senate. 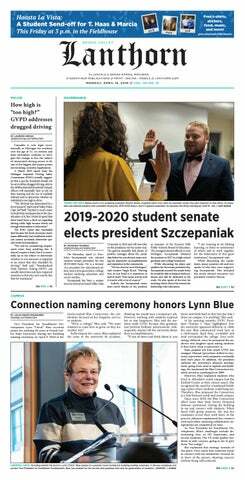 As the end of the winter semester at Grand Valley State University approaches, so does the time for electing new senators and cabinet members for the GVSU student senate. To help create excitement for the upcoming elections, as well as provide necessary information to those interested in running for an open seat, student senate will be hosting Student Senate Week beginning Monday, Feb. 26. Every day from Monday, Feb. 26, through Thursday, March 1, there will be different events and activities on campus related to student senate. Current senators hope to get as many students involved in these events as possible. “We just want as much involvement from our student body as possible,” Mattler said. “We do this through an assortment of ways with all of these events that try to engage students and inform students. A trend that we’ve seen in the past is there’s a slight disconnect between the student body and student senate, and it’s the kind of thing we’ve noticed also through OREs this year. This year, for the first time, there will be a Coffee with Coordinators event where students will be able to grab coffee and get information about sexual assault and sexual assault prevention and awareness. “The event is put on by student senate, more specifically the sexual assault awareness committee, which is a committee that I run,” said Rachel Jenkin, chair of the campus affairs committee of student senate. “The event is going to be LIB 100- and 201-approved, and the idea of it is to be a more comfortable, informal discussion of things that are hard to talk about and educating students on what Title IX is." Jenkin hopes to have representatives from the Title IX office, the GVSU Police Department, and the Gayle R. Davis Center for Women and Gender Equity at the event. Prior to the Coffee with Coordinators event, student senate will host a Public Opinion Day (POD) in the Kirkhof Center regarding sexual assault. Then, surveys from the POD will be discussed during the Coffee with Coordinators event. The POD will be held Wednesday, Feb. 28. Student senate will also host its annual Election Information Night during this week. For more information about Student Senate Week and events, visit www.gvsu.edu/studentsenate/.